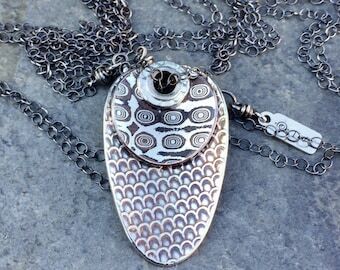 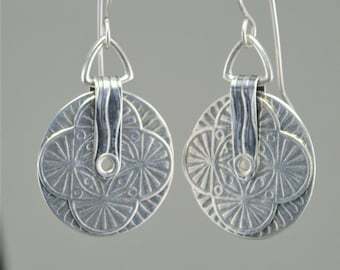 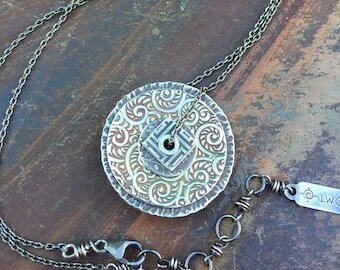 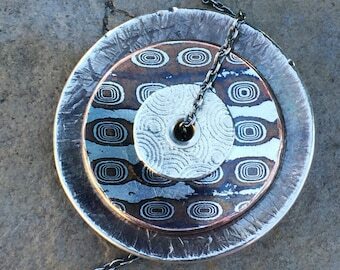 This lovely pendant was created using textured sterling silver panels with contrasting oxidized patterns, which were stacked and connected with a tube rivet. 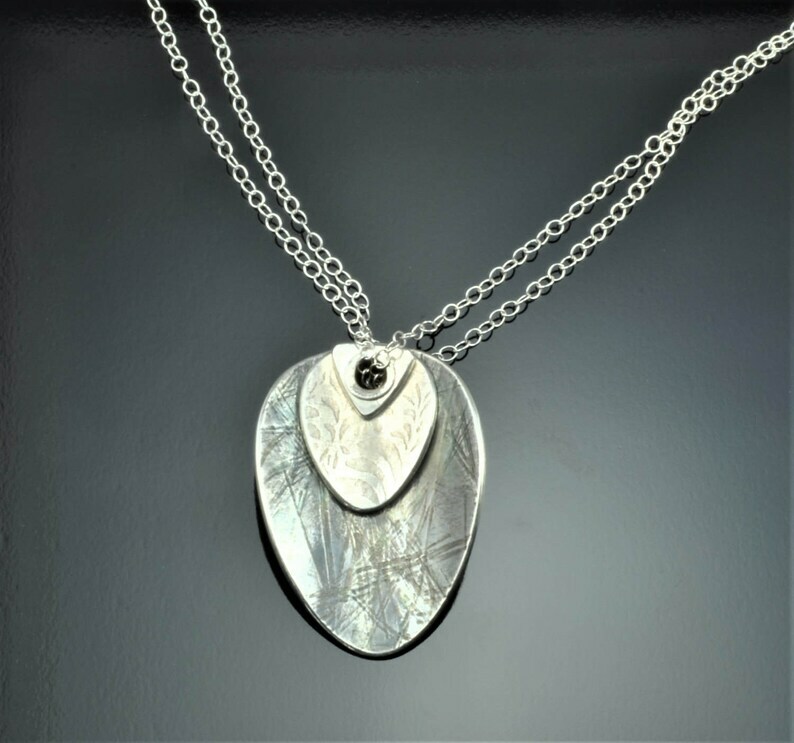 The concave curved pendant is approximately 1" x 1-1/2", and hangs on a shiny double sterling chain. 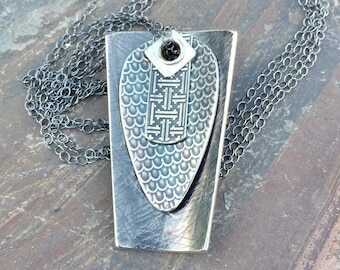 26" long.